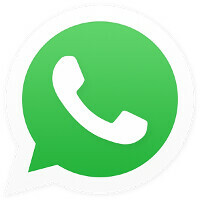 WhatsApp, the messaging app owned by Facebook, could soon be adding video calling to its list of features. According to a report published in Germany, WhatsApp users, first on iOS and then on Android, will be able to make/take video calls over Wi-Fi and cellular. A small window on top of the video feed will allow you to see your image. That preview window can be moved around, and you will be able to switch between using the rear-facing camera and front-facing one. Users will also be able to mute the microphone. The version of WhatsApp for iOS containing the video calling feature is supposedly 2.12.16.2. Considering that the version already in the App Store is 2.12.12, the next update to WhatsApp for iOS users might contain this new capability. WhatsApp is also adding multiple chat tabs. Using these tabs, you can switch back and forth between individual chats without having to go back to the WhatsApp chats list. In addition, the app is getting a makeover with a focus on the color green. Hopefully, adding video calling to WhatsApp doesn't take as long as adding VoIP did. After what seemed like an eternity, voice calling was added to the iOS variant of the app this past April. That's good. I hope their video call quality is as good as audio call quality. I used hangouts for long time...but audio/video call quality of hangouts on low bandwidth network is horrible. Whatsapp & Skype call quality is very good. Meanwhile, here in my country (UAE) Voice Calls are blocked, can't make or receive one. And now Video Call? I'm using Skype instead.